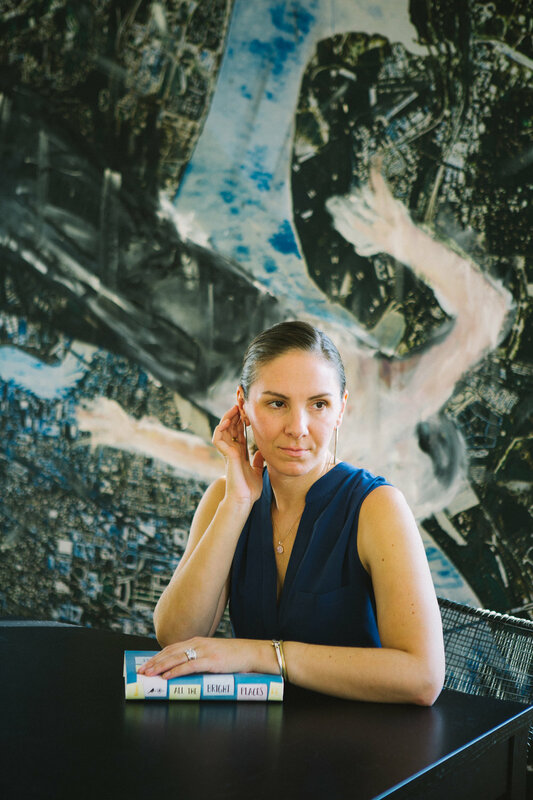 Emily Ziff Griffin is a writer, teacher, and producer who published her first novel, Light Years, in September of 2017. Though written for a YA audience, GAL thinks it's well suited to the ever-present inner child in us all. Emily co-founded the production company Cooper's Town Productions at age 25, and has since produced several films including the Academy Award winning 'Capote.' 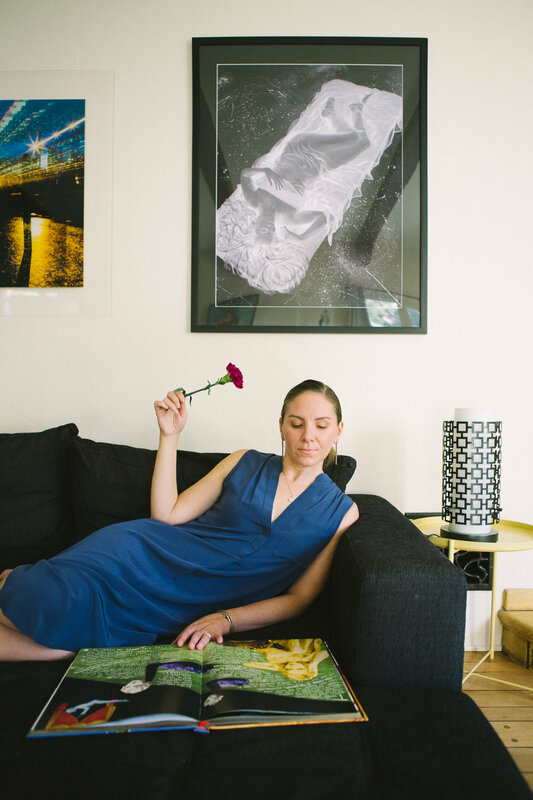 Translating a world of images into meaningful, clarified written and visual works is what Emily excels at– and she believes that the most universal, intensely gut-wrenching stories are ones distilled from personal experiences. Read our interview with her below! 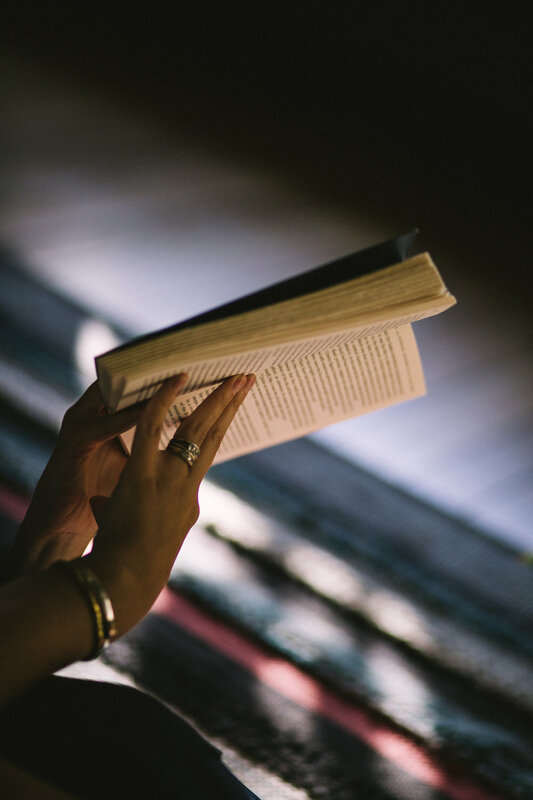 GAL: Which book did you first fall in love with, that turned you into a lifelong reader? Emily Ziff Griffin: When I was a kid, the books of Agatha Christie were really influential for me. Even now, the satisfaction of a great mystery is something that has stayed with me, and I think I began reading Agatha Christie when I was young, like too young. I feel like I was in third grade and reading Agatha Christie. 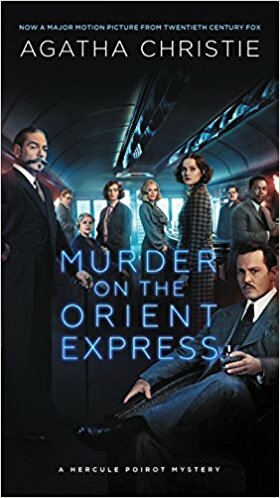 Cat Among the Pigeons was a big one for me, and Murder on the Orient Express is one I just loved and reveled in. But yeah, her books are the first ones that stand out as an “Aha!” moment, even as an eight-year-old. GAL: Do you think that translates into the way you work on your films and in your writing? EZG: I do. Christie created really indelible characters, but also these thrilling narratives. You know, I’m not a mystery writer, I’ve never made a film that’s like a mystery film. I don’t think I’m drawn to the genre in an explicit way. But I think the satisfaction of her stories and the resolution of mystery is present in my work, the idea of seeing this thing being revealed and unfolding, the suspense of any great story, whether it’s a “suspense story” or not, I think those are things that are how I look at story. I want something that’s thrilling, even if it’s not a thriller or a murder story. EZG: My husband always jokes that I was raised by a television, and that’s why I became a storyteller. As funny as that is, there is some truth to it. As a child, the power of story was twofold: both the ability to get lost in another world and to be fully transported and taken out of real life was very appealing, because my real life was often very challenging. My father was really sick for half of my childhood, so it was really sort of wonderful to have things like disappearing into the household of sitcom families, like being a Huxtable or being a Keaton on Family Ties. Those families felt whole in ways that mine did not, and safe in ways that mine did not. So I think that traveling capability that one has when one engages with story is it for my childhood self. When I grew up and into my adult life, as my emotional self evolved, the power of story became its ability to move us and to shift our worldview. Stories change the world in minuscule ways and in big ways. I think they do so because of their emotional resonance, and their ability to make us recognize ourselves in a great story, whether it’s a story that on the surface relates to our lives or not. EZG: Well, I read for work probably something every day, in one form or another. Scripts that I’m working on, developing, as a producer. I read for pleasure at this point in my life way less than I would like to, honestly just because of time. I have two small children and I have many different hats professionally that I trade off. I would say I get time with a book for pleasure maybe once a week, which is depressing and makes me very sad. GAL: It’s just a phase, don’t worry! EZG: Yes, that’s exactly right! It’s so interesting. I have this joke that I’m going to be the most amazing retired person. Like I really can’t wait, because I have such big plans, and lot of which are centered on catching up on approximately 30 years of reading. GAL: I know. You know, I say this a lot but it’s true, since starting this magazine with Eliza in 2015, I’ve had a lot of time to talk to other people about books, but I’ve had very little time to do any reading for myself these days. EZG: Yeah, you know people ask me, “How did you write a novel with a newborn and a toddler at home?” and the second question is “Did you read a lot of YA when you were writing your book” and the answer is like, “Well, you do the math between those two things.” I could have read a lot of YA or written my own novel, it was an either/or scenario for me, unfortunately. So yeah, I look forward to the next phase. GAL: Do you have a current or forever favorite book that has influenced your work? 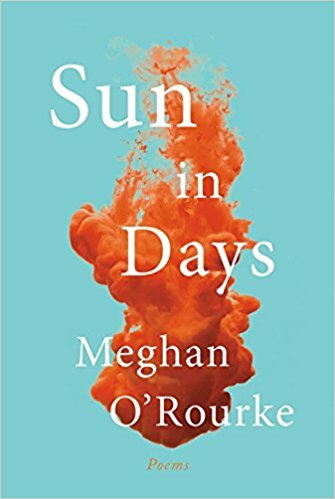 EZG: Right now I’ve been reading and rereading a book of poetry my friend wrote, and we actually did an event together, it was a conversation about a book of poems about her chronic illness, it’s a book called Sun in Days by Megan O’Rourke. She and I have known each other since we were little little, and we both had books come out in September that couldn’t be more opposite in terms of genre. 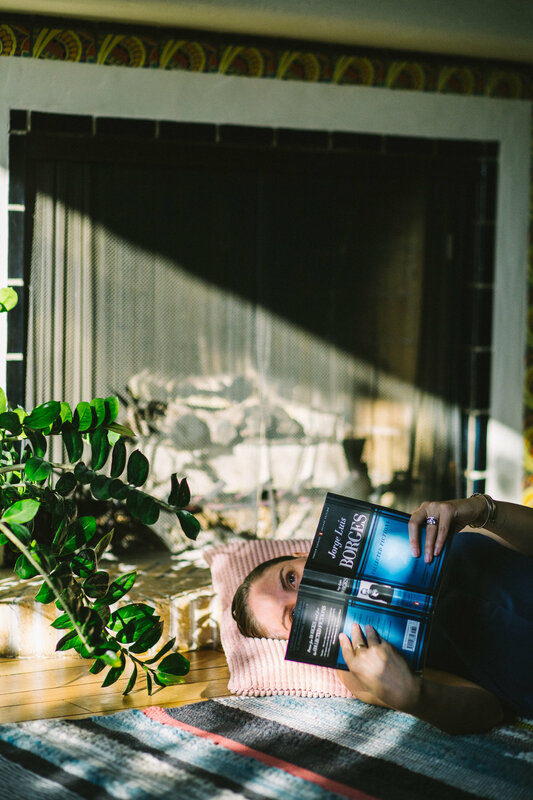 In terms of subject matter, there is actually tremendous overlap of illness and grief and the loss of a parent, and a kind of reconnection with the feminine in both of our books. Also many overlapping themes but we tackled them in totally different ways. So I was just loving and basking in her book for a while. And I think that I really felt influenced in my book by A Wrinkle in Time, and even as an adult and rereading that with my daughter, it’s so cemented in my psyche. GAL: Me too. Are you excited about the movie? Do you have high hopes? EZG: Yes, yes! I can’t wait for the movie. I’m really excited, I just posted about that on Instagram the other day because I’m just so excited. GAL: Can you think of any movies that have been successfully adapted from a book? Because when I think about A Wrinkle in Time, I think about my very clear picture of what Aunt Beast looks like, and it’s so hard to reconcile what’s in my imagination with what appears on the screen. Does that bother you? EZG: I know, that’s always the challenge. I think that the trick with that is, I would imagine, discarding a lot in certain ways. You have to be willing to leave a lot behind to achieve a successful balance. I think that’s really hard. I think the Hunger Games adaptation is solid. I would actually say I found the movies pretty great. 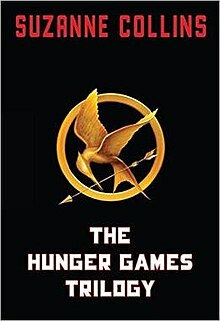 I was never a Hunger Games obsessive, so I read the book I think actually—I don’t remember if I read the book before I saw the movie, so I may be going the wrong way with it. But I think the consensus was that it was a pretty good adaptation. I think fans were pleased with it. But I think there’s a challenge often, there’s a fear that if you don’t adhere closely enough to the books then you’ll be vilified for ruining it in film form. I’m excited for the Wrinkle in Time film because I trust the creative people at the helm enough to know that they’re going to deliver something that can stand alone from the book and be strong and wonderful. I think it’s similar to when you have a mediocre visionary or person leading a transition or translation, then it’s just like, it basically has to be the book or not. It has to be a mirror image, and then that’s never going to work because it’s never going to be a mirror image, because you’re trying to mirror something that’s in individual minds. It’s like a fun house mirror, it doesn’t work. So I’m trying to think of other books, that’s really a great question. GAL: I think my personal favorite adaptations are the Merchant Ivory adaptations of E.M. Forester like A Room With a View and Howard’s End. EZG: Those are great. I think I would also say Anthony Minghella’s films. 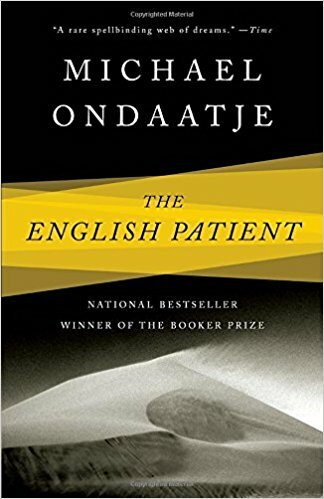 I love Cold Mountain, and I think The English Patient is a book, which I’ve never read. So that doesn’t count for this question really. But Cold Mountain, I loved the adaptation of that book. It was so well done. GAL: We have a friend who has a “Sanity Shelf” which is dedicated to books she returns to again and again to re-read for pleasure, knowledge, and solace. What books would be on your sanity shelf? 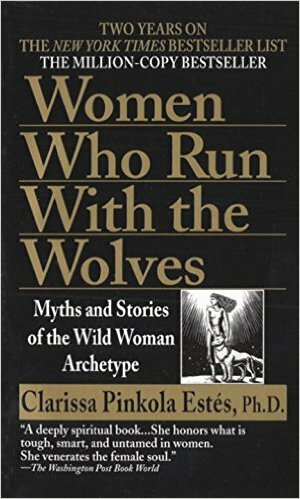 EZG: Oh, Women Who Run With the Wolves would be the first pick on that shelf. Like, I could just have a shelf that was 12 copies of that book. Do you know that book? GAL: No, I don’t. We are selling a pocket-sized copy though! EZG: Ok, so I’m really on a campaign right now to get every woman I know to read that book. EZG: I was at this event the other night with 30 women I didn’t know. Everyone went around the room and just said whatever they were thinking about or feeling, which was a combination of here’s what I’m working on, here’s what I’m struggling with, here’s where I am in my life, it was just kind of – I don’t know what you would call it. I’m dying for the follow-up email with everyone’s contact information, because I’m dying for everyone to read this book. I didn’t have a moment to mention it in the group share, because it didn’t occur to me until after I shared, but I just think this book is like required reading for women of this moment. The woman who wrote it is a Jungian PhD named Clarissa Pinkola Estés. 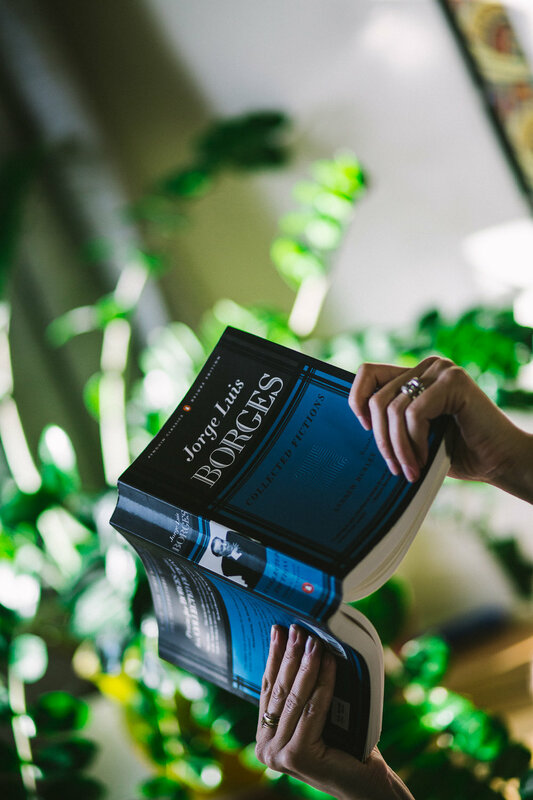 She’s a visionary thinker who trained in Jungian psychology but also has a very deep background in mythology, so her work contains a Jungian analysis of fairytales and classic myths, tropes, and of a lot of the stories we all grew up with. It’s one of those books where you feel like someone is explaining the mechanisms of the universe in a way you’ve never heard it. To me it’s that level of revelatory. Her book was also very influential in the making of my novel. I read a lot of her work while I was writing my book, and a lot of her ideas are present I think, in my book. GAL: Do you have a current favorite reading spot, even though you don’t get to read that often? EZG: I have a really wonderful living room right now that feels like a really grown up living room, which I don’t think I’ve ever had. Living in New York in apartments, even in nice apartments, the space feels so precious that it’s impossible to have a sense of expansiveness in any room, at least I never did in New York. Our house now is Spanish in style. The living room has a fireplace along with big windows, and we have one wall that’s all bookshelves, we have a piano, and the combination gives it a real warmth and tranquility. So whenever I get to read, it’s on the couch in my living room, and it feels like a really luxurious spot. GAL: Is it important for you to physically hold a book or can you read on a device? EZG: No, I can’t read on a device. I really hate it. I can read scripts and things, I have the big iPhone, so I read scripts on my phone because I like to read in Good Reader so I can make notes in the script as I go. But books I have to read as a physical book. I really find that the only way that reading is satisfying. GAL: Which one of them would you save from the fire? EZG: [laughs] Gosh, now I need to go inside and look. I mean, I have a lot of art books and things. I have books that people have given me that feel important in that sense, but from a sheer beauty standpoint, let’s see. Gosh, there’s so many beautiful books. We have a ton of art books, but it’s hard to distinguish the book from the art inside. There’s so many artists, so that’s maybe a different. Oh this is a book that I have not read, but I was given it by a friend’s mother who passed away, who I was very close with, The Woman at the Washington Zoo. I really should read this, it’s good to pull it out. Do you know this book? EZG: It’s by a woman named Marjorie Williams. She was a writer at the Washington Post and I think she had cancer. It’s a book of her essays, writings on politics, family, and fate. Anyways, it has this beautiful peacock on the front and it’s special to me just because of who gave it to me. And it’s one I’ve just never gotten to read. GAL: A book given as a gift by a loved one is the best. GAL: Oh, that’s so beautiful. AA: Yeah, I think that one comes out of the fire for sure. For sure. Yeah, I have three books that Phil gave me that all sit on the shelf in my office. They’re all very special. GAL: What makes a script successful? EZG: You know, it’s sort of two things. I think the first is, I’m looking for something I haven’t seen before. But there’s sort of – it’s specific. It doesn’t mean unfamiliar, if that makes sense. It’s something that’s incredibly familiar, incredibly recognizable, that I immediately make a connection to on a deep personal level, but the writer has achieved that, has made that connection for me in a way I haven’t experienced before. So it’s not simply originality of concept or you know, just newness for the sake of it. It’s actually connecting to something I recognize and that I find incredibly familiar but in an unfamiliar way, if that makes sense. GAL: It makes complete sense, and that’s such a beautiful way of phrasing it. EZG: Yeah, so there’s that, and I think beyond that, I need to know what the writer is writing about beyond the surface of the narrative. And that always comes back to something personal. I can tell when work is personal and when it’s conceptual, and it has to be personal. It’s something I talk about a lot, it’s something I teach about. How do you create work that’s personal without being literal? Not by airing your dirty laundry or recounting what happened to you, you’re weaving that personal truth and experience in its own standalone narrative that can thrill and delight and entertain and enlighten your audience. So I’m looking for that too. I’m looking for, is this person brave enough to write from their own experience, but then skilled enough to—it’s kind of the same thing as when you’re talking about adapting a book to a film, like we said before. If you just adhere literally to what’s on the page, then why? I can do that myself when I read the book and the movie in my head’s going to be better than your attempt to mirror it. But if you are actually translating it into its own thing that has its own life and logic and rules, in a way, then it can sort of sing and soar on its own merits. And I think it’s the same for personal stories, I don’t want to just hold a mirror up, I want to really reinvent. And so when I can see that a writer knows how to do that and create something that still connects to them but is a reinvention, I think that’s strong work and I tend to want to be involved with something like that. GAL: How do you choose the books you read? Or that you buy to read during your next cycle. 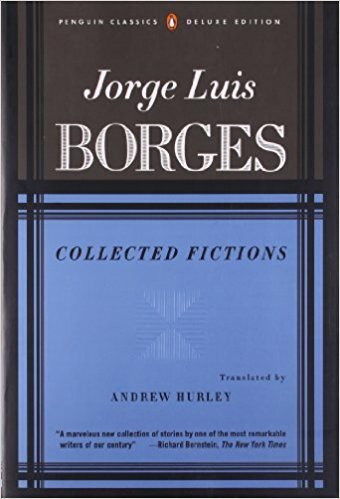 EZG: You know it’s strange, I feel that for the last, I don’t know, probably six months at least as I started to move towards releasing my novel and being more involved in the literary community, I started to meet a lot of writers, and started buying up books by people I had gotten to know. I literally have a stack of books in my dining room right now that’s all the books by authors I know, which I’m mortified not to have read yet. So that’s been really fun to kind of get to know someone a little bit, and then get to know their work, and also get to know them better eventually by reading their work. You know, separately from that, things come like lightning bolts from all directions. I bought a book of short stories that I’m slowly diving into and loving, because I was in New York working and for the first time in years, got to sit in a café and read a newspaper, which I have not really gotten to do since having children, and I read a review in the New York Times and thought, well that sounds terrific, and I went and bought it. So there are those kind of random things, someone recommends something on Facebook, or a I read a review that grabs my attention. But it’s just a feeling, like you get that feeling when you hear about something, and it sort of lights you up a little inside, and then that’s the stuff where I feel like, I have to get that. GAL: If you had to write your memoir, what would you title it and why? EZG: Oh Jesus. What would I call my memoir? It’s funny, I think I did a joke about this on Facebook recently, I had a very clever little post that was along those lines, and I have no idea what it was. Well, it’s funny, I have this workshop that I teach that is called “Self-Centered.” And the idea is what I just talked about, that you have to put yourself at the center of your work, but then figure out how to do that in a way that isn’t literal and all of that. But I think that title kind of applies not so much to the life I am living currently, but that’s like the aspirational title for my life. It’s sort of what I hope by the end of my life I figure out how to do. How to both put myself squarely at the center of things, and then also—when I hear those two words together, I immediately think of the captain of a ship, and someone standing at the center of a vessel that can move smoothly and then also encounter a lot of tumult. To maintain a sort of gravitas and a long view, regardless of the circumstances. I hope by the end of my life to be kind of self-centered in that way, where I just feel very squarely in myself and very squarely in my life. GAL: Self-Centered In That Way? EZG: Oh, I was just thinking Self-Centered. I also like titles with things that kind of subvert your familiarity with them. I’ve been developing a film and we’ve been struggling with the title. We’re just calling it The Mall, because it’s set in a shopping mall for the most part, but I really like that title because people generally have a whole set of associations with that phrase. It’s just shorthand for something. The film really upends that, and so I really like that. So I really like the idea of “self-centered.” It has a kind of negative connotation for most of us, it feels like, you know, too much ego. I’ve lived a life without enough ego, by the way, not that the cultivation of that is what I’m after. I mean that I’m not looking to cultivate a bigger ego, but I am looking to be myself. To have that be front and center in a way that hasn’t always come naturally, or has been subverted in certain ways. GAL: That’s so interesting. I would buy that book in a heartbeat. You should write it. EZG: Alright! I’ll get around to it someday. EZG: Oh, it’s so hard! 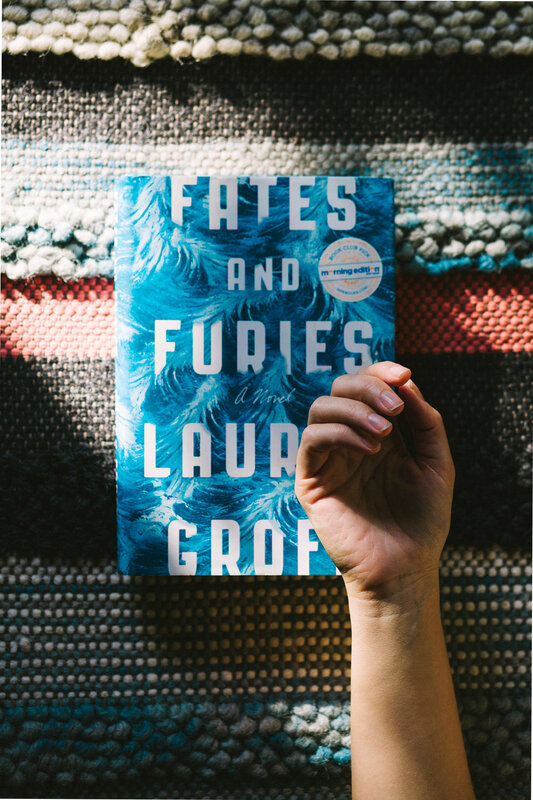 Fates and Furies is definitely coming to mind, just because the quality of the writing is unparalleled. It’s exquisite and extraordinary. I read this great article about how these books like Gone Girl, this genre of the plotting wife, the wife with this secret plan, and how that really dovetails… basically the extent to which modern wives and mothers are living this secret life already, because of how much they do that men don’t even realize they do. I found that a fascinating window into that book and why it kind of resonated so strongly with people. I think why it resonated so strongly with me is because there is this kind of idea of women living secret lives, and men not understanding how their lives of possible because of that. It’s a satisfying read in so many ways, it’s beautifully written and then it points to some really interesting cultural things. EZG: Yeah, some really important cultural truths that are pretty fascinating. Let’s see, what else is on my shelf. 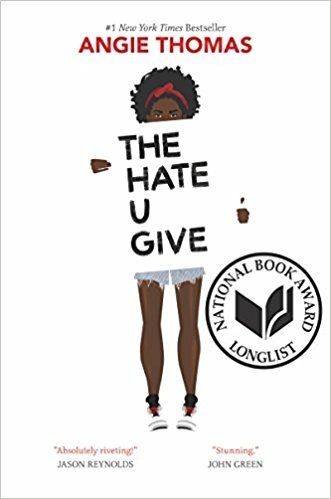 The Hate You Give is a book everyone should read. It’s a pretty staggering window into, again, cultural truths that I think most of us don’t understand. The writing is extraordinary, and the characters are so well done. It’s really affecting, it’s heavy. And let’s see, number three! Magic and Loss: The Internet as Art by Virginia Heffernan is fantastic. That was sort of an eye-opening and fascinating look at technology and culture and our role in it, and another way of thinking about it. 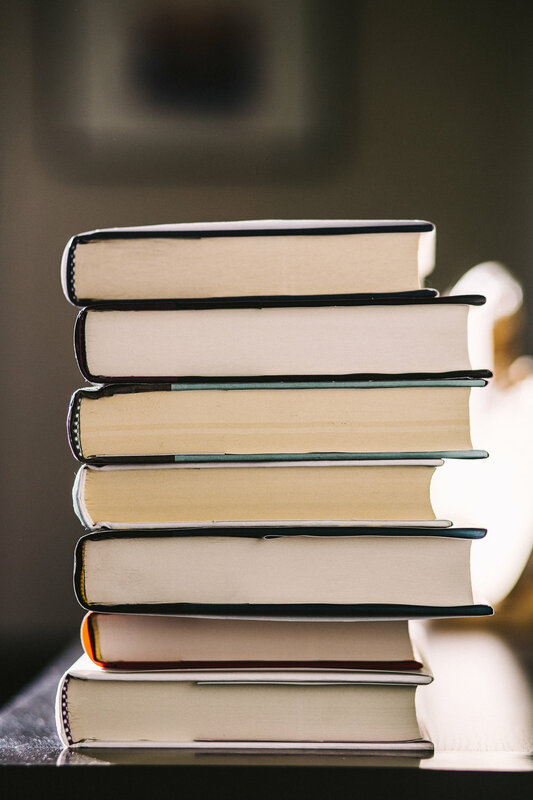 I found that book riveting, and I wish I had read it before I wrote my book, because I think there’s a lot of overlaps and shared points of view. She has such a command of the landscape of technology and digital culture. So I think that’s also a must-read for modern life. more about Light Years also on her website! All images and content are copyright of Girls at Library. Please do not use them without our express permission.